that Atari ST is still lying on my desk, we'll keep the faith. ST, Falcon...) to add a stone to this wall and make it bigger and bigger. That was all for the business part. 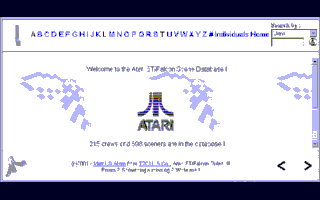 why my site isn't dedicated to the past, but to the living "Atari spirit".